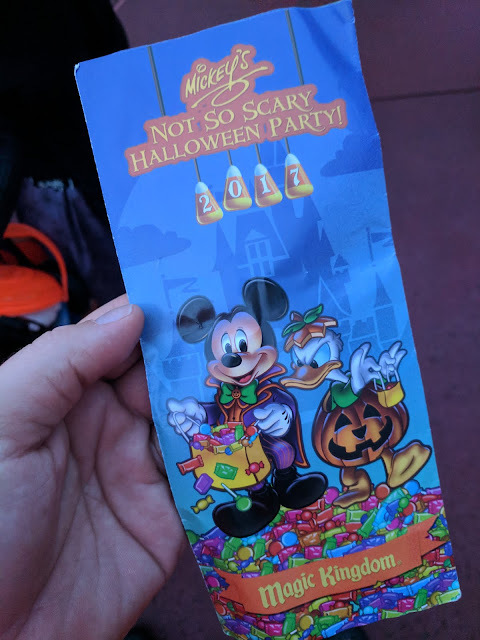 I've written a few times about Mickey's Not So Scary Halloween Party down at the Magic Kingdom in the past. In 2015, I posted a few photos of Halloween pins and a video of the Sanderson Sisters. I also posted a photo of a Christmas ornament - yes Christmas - that was a Mickey-shaped pumpkin. And, finally, that same year, we picked up a few 'limited edition' pins from the party and I shared a photo of those. This year, I'll place this year's map here in my diary to remember what things looked like and where the trick-or-treat locations were located. You can see those below. 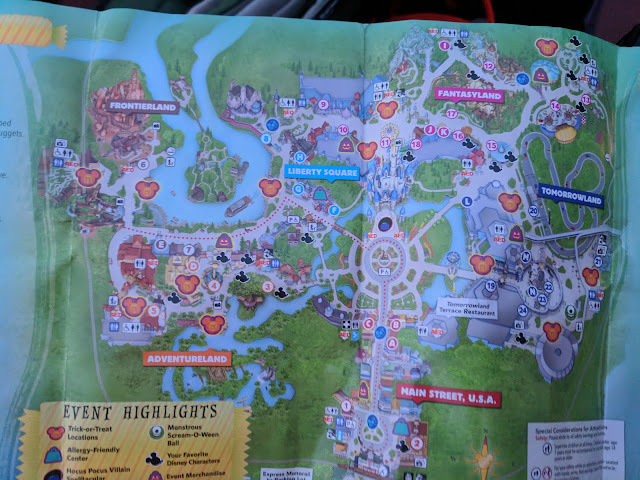 This isn't the first Parks map that I've posted. You can see more from Disneyland/Sea Tokyo here. And the full archive of maps-specific posts here.